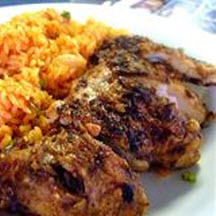 CooksRecipes has quality, kitchen-tested recipes for African and Moroccan chicken dishes that you can count on for successful deliciousness. 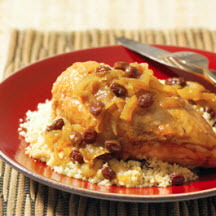 Chicken, onions and chunks of butternut squash are baked in lemony peanut butter sauce and served topped with chopped peanuts. 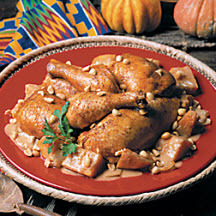 This African chicken dish features tender chunks of sweet potatoes, okra and apple flavored with rum, soy sauce, fresh ginger and clove.